EVERFRESH NATUROPATHY & HOMOEOCARE LTD. was originally incorporated as ltd. company on 23rd march, 1997. The initial object is to set up the nature care center project namely Shivashram Nature Care Temple.Founder: Dr. Jitubhai Pancha. 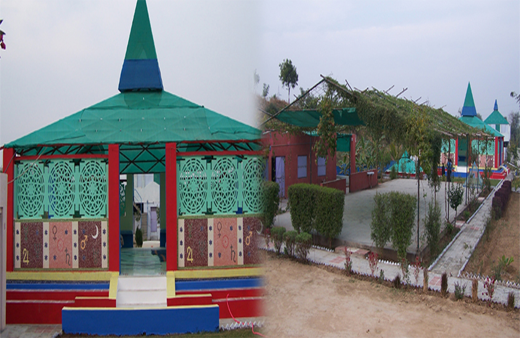 SHIVASHRAM, spread over a land about 70,000 sq. feet yards on the constantly flowing banks of Narmanda Main Canal (NMC) and at the foot of artificial developed hill locks, is situated amidst lust green farms lands of DANTALI - only a short distance from hubs of Ahmedabad, Gandhinagar, Kadi, Kalol, Mehsana in the state of Gujarat. Cool breezes, showering rains, mild sunshines of morning, chuckles of the birds in the far away woodlands. All provide very elevated moods and much-desired environs for the ashramites and inmates undergoing treatment. The innovative health center houses 20 beds, naturopathy hospital, full time clinic, massage parlor, satvik ahar kitchen and dining, dormitories, special rooms, library, lecture halls, stores, laboratories, administrative block, arenas of panchkarma, hot and cold water bath, oil and mud treatments, sun bathing, fresh air breeze bathing, tree plantation and garden of medicinal herbs etc. The institution is mainly based on five basic elements, which are EARTH, WATER, FIRE, AIR and ETHER.